Verizon calls this service. 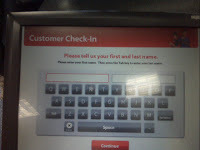 I'd like to meet the jackass who came up with is kiosk idea. I'd have a stick. And use it. 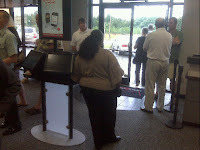 How can I get a job leaning on a Verizon kiosk, telling folks they need to sign in? 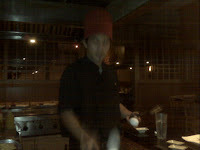 Japanese steakhouse for supper tonight. 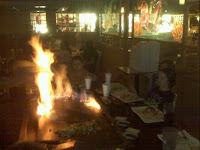 The grandchildren love the volcano. Star Trek, Episode 41: "I, Obama"
So exactly what was in the balloon?